A television personality, Shane Kilcher is best known for his appearances on the Discovery Channel’s reality series Alaska: The Last Frontier. 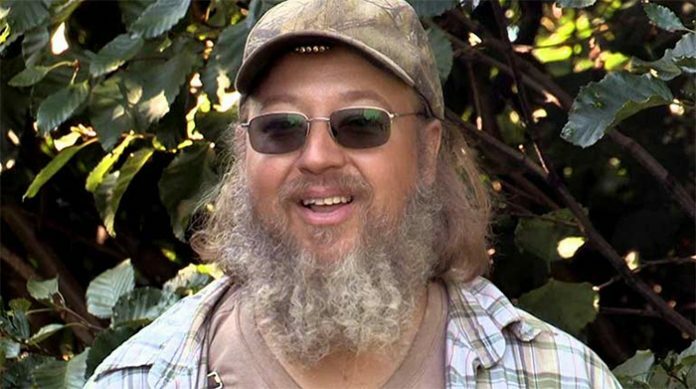 A resident of Homer, Alaska, he was first introduced to the show at the beginning of season two, which aired in 2012. By the third season, he had become one of the main cast members, alongside the rest of his family. Fast forward to 2018, and the series has continued for several years—in fact, the seventh season had just recently wrapped up earlier this February. Unfortunately, half-way through the season, the reality star suffered a horrific fall while working on his house. As a result, he hasn’t appeared on the show since last October. How is Shane doing nowadays? What was the extent of his injuries? What is his prognosis? How is his recovery progress coming along? These are some of the things that we’ll be taking a look at below. Last fall, the seventh season of Alaskan: The Last Frontier premiered on the Discovery Channel on September 15, 2017. As with the previous years, it saw the return of the main cast members—including Shane Kilcher. One of the show’s main stars, he has been a regular since season three. As such, it’s not surprising to know that he’s earned himself quite a fanbase over the years. Following the incident, a message was posted to him and his wife’s Facebook page—one that thanked fans for their “prayers and kind wishes.” Though he is doing well, she explains, “Shane will have a long recovery process ahead of him.” While there haven’t been any official updates on his condition, Kelli has taken the time to reply to a few more fan comments. In fact, she has since revealed that he is “getting better every day” thanks to modern medicine and a mountain herb, the latter of which he’s used for sprains and bruises in the past. As to not spoil the reality show, however, she was unable to discuss any details on his status. Understandably, the injury led him to be absent from the second half of season seven—which eventually wrapped up in February 2018. Since then, however, it would appear that Shane’s condition has greatly improved. In fact, judging from some of their recent Facebook posts, he’s already back at work! As far as the reality series go, it has been announced that an eighth season will be airing later this year. Having said that, it has not yet been revealed whether or not Shane will be returning to the show—for now, it looks like we’ll just have to wait and see. Born on May 5, 1971, in Fairbanks, Alaska, Shane Kilcher is the son of Lenedra Carroll, a singer, and Atz Kilcher, a television host. One of four children, he has three siblings, all of whom have been featured in the show. In 1992, he married his girlfriend, Kelli Kilcher, whom he had met during his senior year in high school. From there, the couple eventually welcomed three children—two daughters and a son. Ultimately, it wasn’t until 2012 that he rose to fame on the Discovery Channel’s Alaska: The Last Frontier. Premiered in 2011, the show centers around the extended Kilcher family at their homestead, just outside of Homer, Alaska. Introduced in the second season, Shane and his wife have since starred on the show for many years, alongside his relatives. In fact, Alaska: The Last Frontier has already continued for six additional seasons as of 2018 (all of which have seen Shane as one of the main cast members). As you can probably expect, he has managed to earn himself a considerable fan base over the past several years on the show. Responsible for his rise to fame, the Discovery Channel series remains to be his only TV credit to date. Premiered on December 29, 2011, on the Discovery Channel, Alaska: The Last Frontier documents the life of the extended Kilcher family in the remote city of Homer, Alaska. Descendants of Swiss immigrants, the clan supports themselves by hunting, farming, and preparing for the long, harsh, winters. Popular among viewers, the series’ seventh season recently ended in early 2018. Due to the fact that Shane had injured his spine, however, he was absent for the latter half of the season. Renewed by the network, an eighth season will be airing sometime later this year (though it’s unknown whether or not Shane will be back to join the cast).